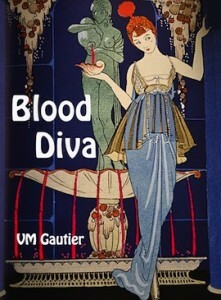 Blood Diva | The web home of Blood Diva, the Marie Duplessis vampire novel. They say she died for love, but the truth is a bit more complicated. See the latest glowing reviews! PLEASE READ THIS SPECIAL ALERT! Buy the ebook OR read it for FREE! SIZZLING Excerpt Up at Opera Candy! Paperback sale: $14.99 Click link for special price with free shipping! Books & Pals LOVES us so much, they gave us 5-star reviews (TWICE)! Gott im Himmel ! Meine erste “Blood Diva” deutsche Sprache Buchbesprechung! $3.99 still too high? Ask for a review copy! Always vampy good times on the blog, or click on the menu above to find out more. Visually oriented? Follow my pins! Check out this fun character interview. SWAG alert: Are you mugworthy? OMIGOD! Opera Candy totally lurves Blood Diva! Guest blog on Books and Pals. And here’s another great review from jolly olde England! Hey authors — use this one neat trick to avoid bad reviews! It’s like La Traviata — with vampires!